Business of Home, April 2019. Each week Mansion Global tackles a topic with an elite group of designers from around the world who work on luxury properties. This week we look at how to make wood furnishings feel modern . The High End, January 2019. January issue of The High End featuring our “Rosalia” for the Kitchen of the Month. 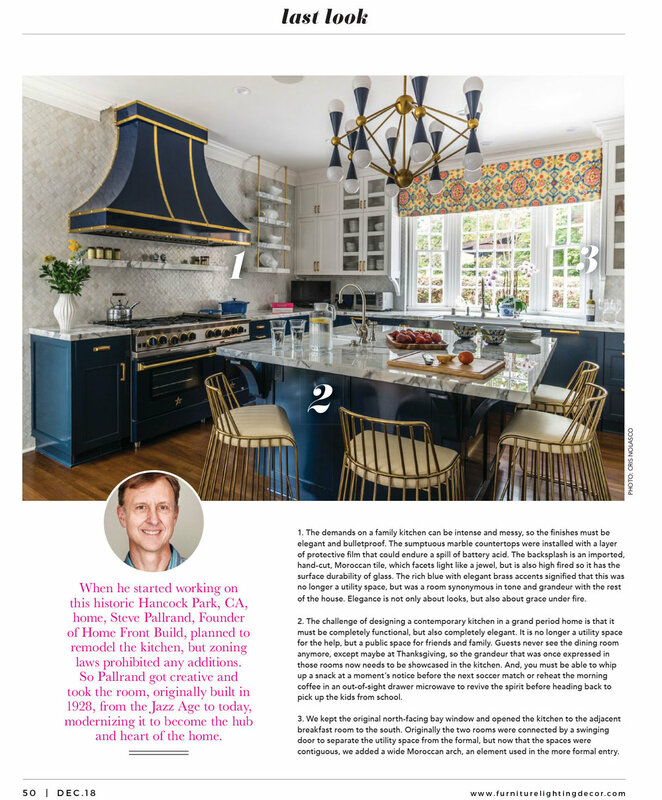 January issue of House Beautiful featuring our “Rosalia” for the Kitchen of the Month. "The classic, tried and true concept of California living centers around the notion of bringing the outdoors in—of creating interiors that emphasize, respect and engage the most alluring aspects of the California climate and landscape," said Greg Roth, head designer at Home Front Build, an architecture, design and building firm based in Los Angeles. Lighting & Decor, December 2018. We are proud to be a part of the Home Decorating Lessons series in “Better Homes & Gardens”, October 2018 issue. Mansion Global tackles an interior design topic with an elite group of designers from around the world who work on luxury properties. This week we look at how to make your home more "green," while keeping it chic .